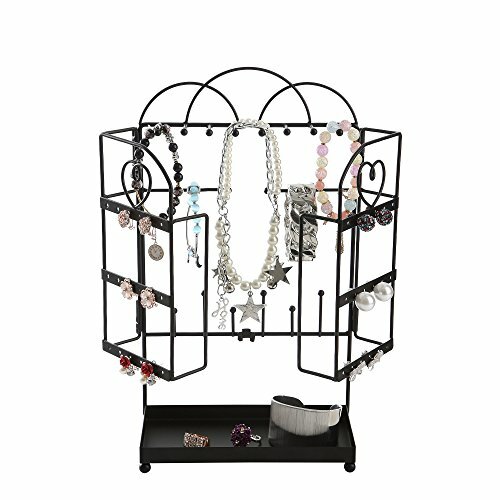 Black metal foldable jewelry organizer tree rack for bracelet, earrings, necklace w/ring tray. Whether you hold Paris close to your heart or call it home, this charming piece from the Paris Collection immerses yourself in the enchanting and romantic City of Love. With a chic vintage finish and classic Parisian patterns, it adds that much needed je ne sais quois to your humble abode. 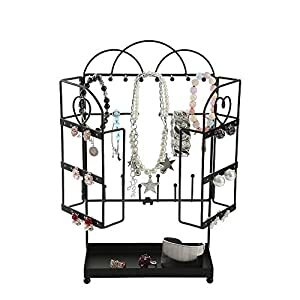 Instead of wasting time digging through your mound of jewelry in your disastrous drawer, display this hanging jewelry organizer to easily find the perfect accessory to dazzle up any boring ensemble from boring and bleak to classic chic. 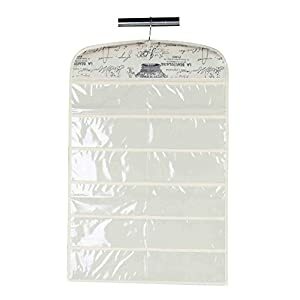 From rings, hair ties, necklaces, and earrings, this jewelry organizer- slip all your accessories into the transparent pockets to keep everything neat and visible, and protected from the elements. 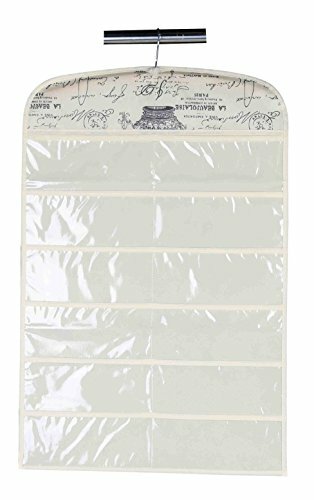 Hang it on any standard closet rod to easily coordinate your perfect outfit.